Spring is here! It is time to spruce up our wardrobe with new fashion trends and some color. Wearing the same pieces you bought last year, especially for women, would be a huge fashion no-no. Designers have been working hard on the latest trends and if you are care about keeping your look updated- It is time to go SHOPPING! Entice has launched a new collection that caters to every taste. it was a tough decision so I picked two of their designs. The first one is called downtown jumpsuit. You can get it in four different sets of three different colors each (hud driven). The second choice is Proud Mary in six different colors. 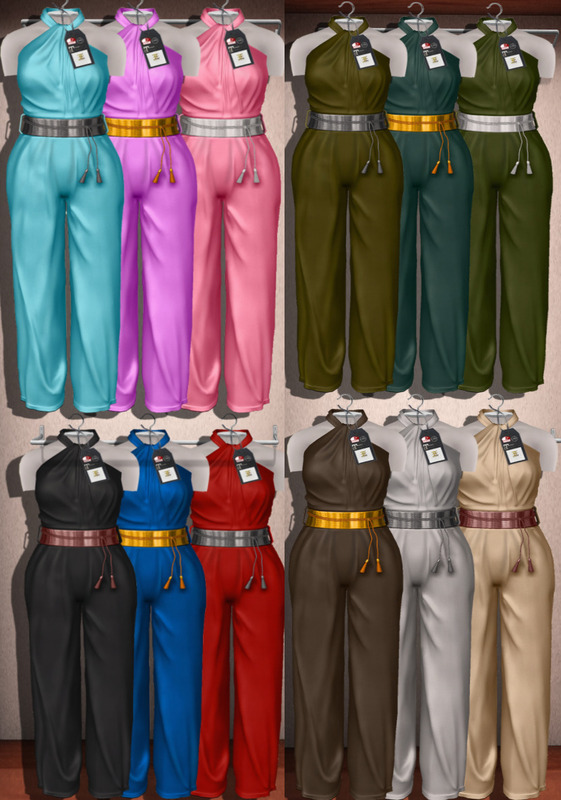 Hilly Haalan designs have a great variety of clothes to offer spring shoppers with classic avatars and advanced mesh bodies. There's also an outlet store with some fabulous deals. It was a really tough pick! 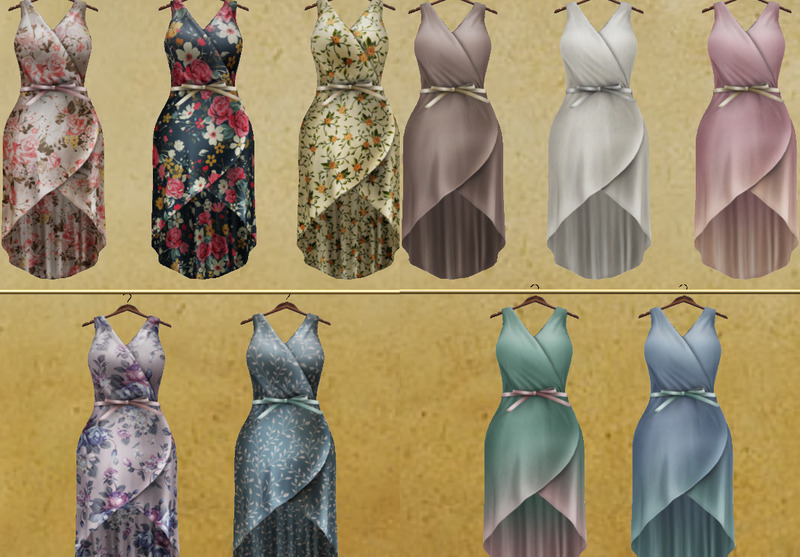 Here are the [hh] Dune Dress Tropical 20 textures in one dress and [hh] Amerie Glam Outfit, a nice cocktail dress with a stylish spring coat for semi cold nights. There are no words to describe Gizza Creations and there's no need as they are the most popular designers on the grid. I picked their new release Jacqueline. Take the time and go see it!I'm sure you might walk out with a bag full of great outfits. Prism Designs do what they promise. They add colors to our lives and our wardrobe..
Spring is the season for flowers. Colorful florals and playful dot patterns are the best way to embrace it. 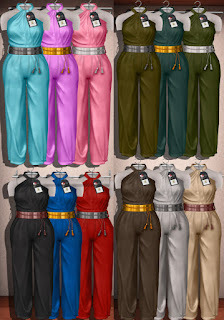 I recommend the Prism Eloise Capris and Top by Journey with Fabric Hud ( four colors), and prims Prism Marisol Silk Romper by Journey with Fabric Hud (4 colours). Last but not least, Zaara creations. They were one of the first designers to create clothes and lingerie for Maitreya mesh body. Most of my inventory goodies come from them and I have to confess I couldn't resist. I bought the last pick I got for you. 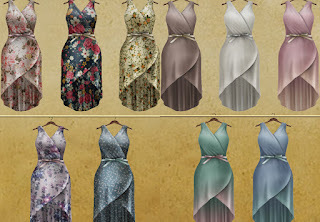 An etherial dress in 10 colours with patterns and plain.